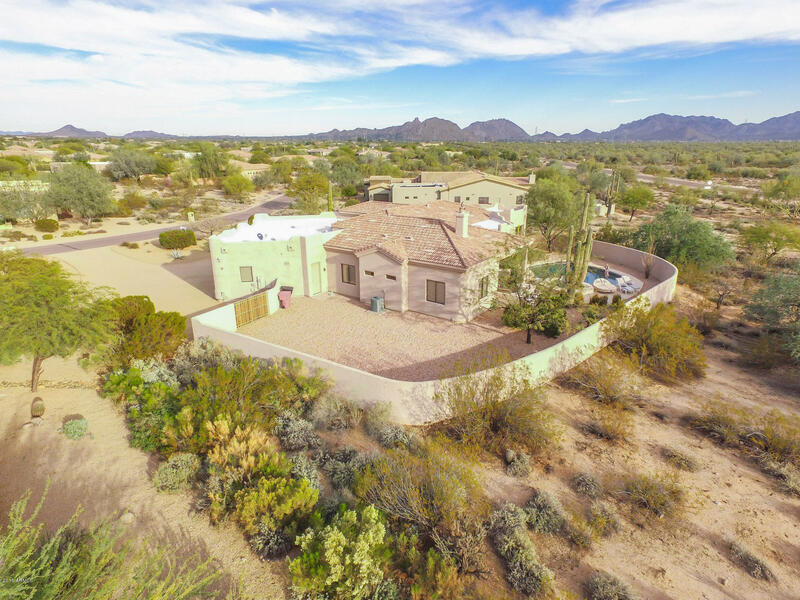 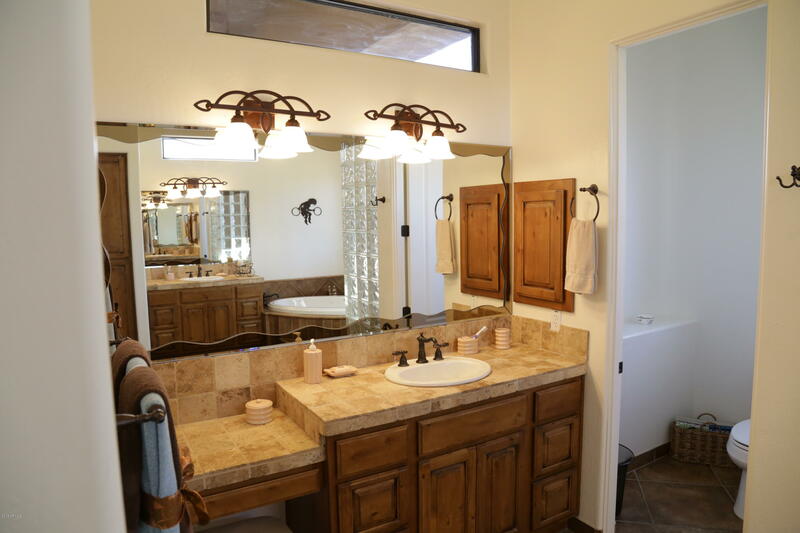 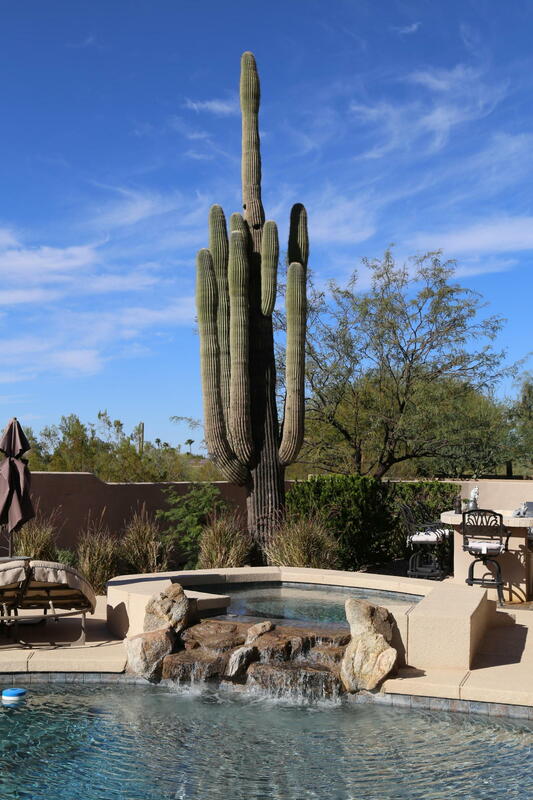 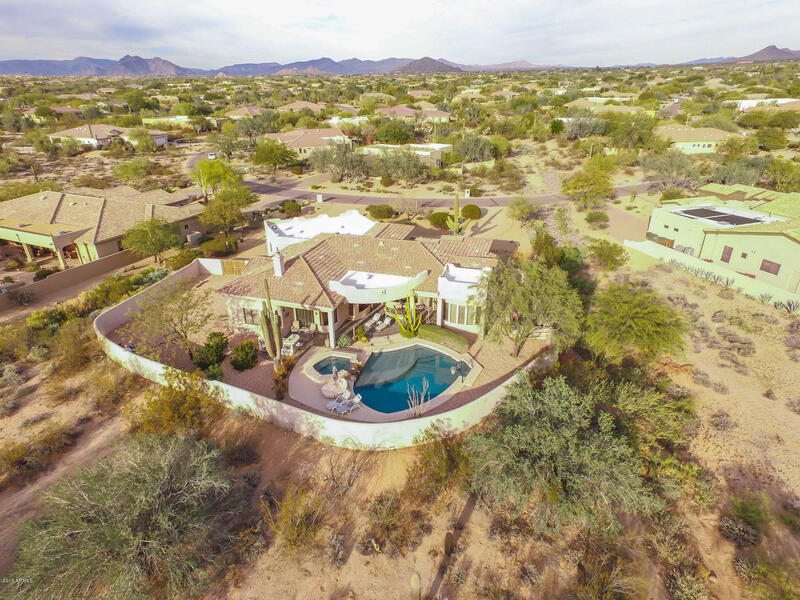 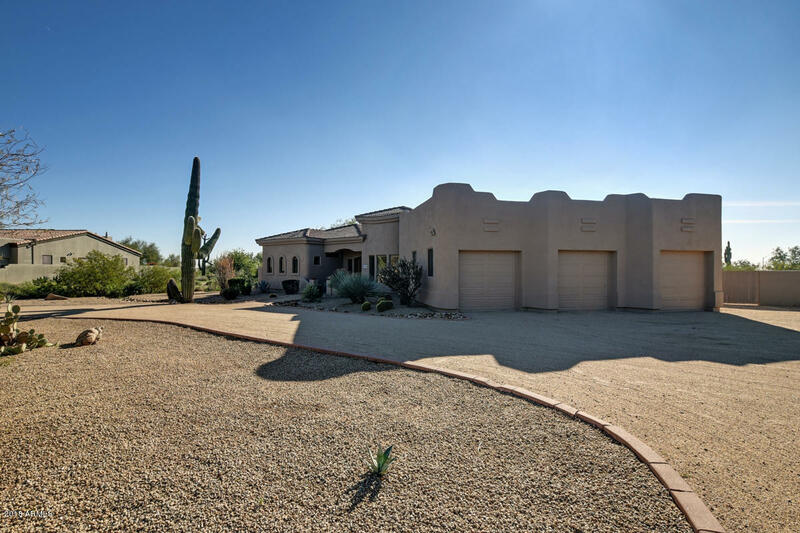 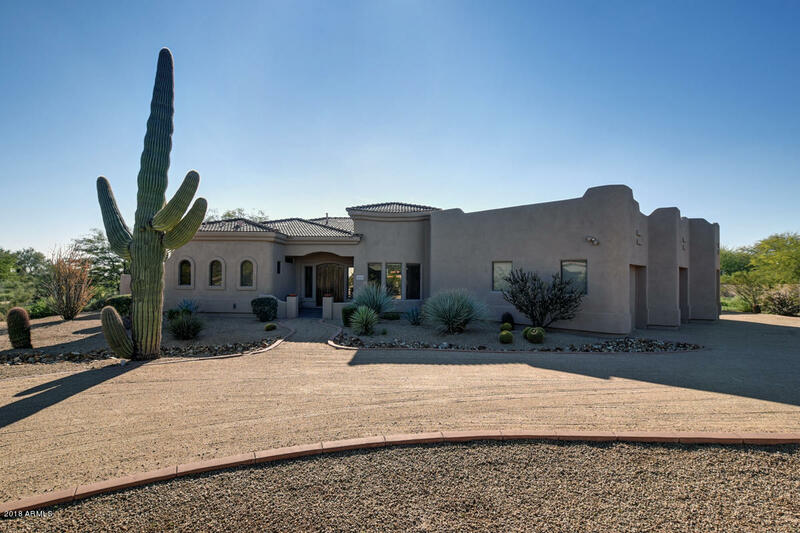 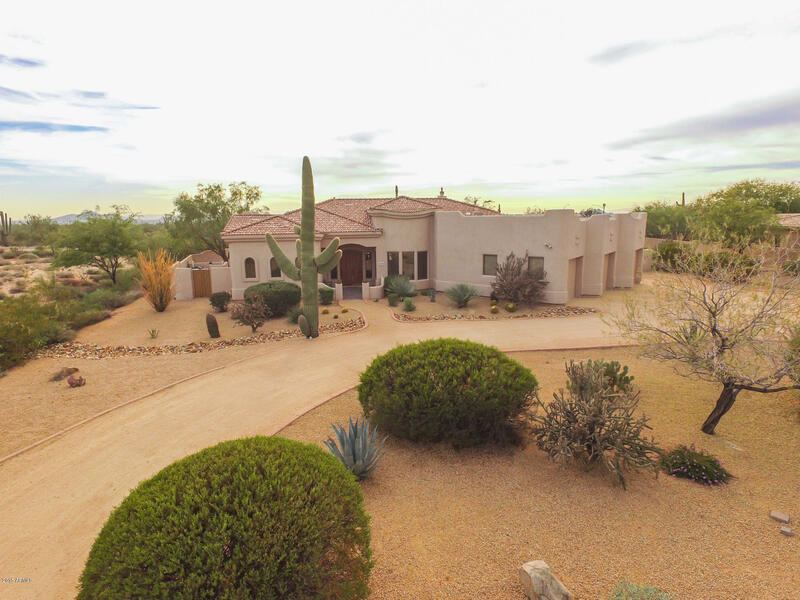 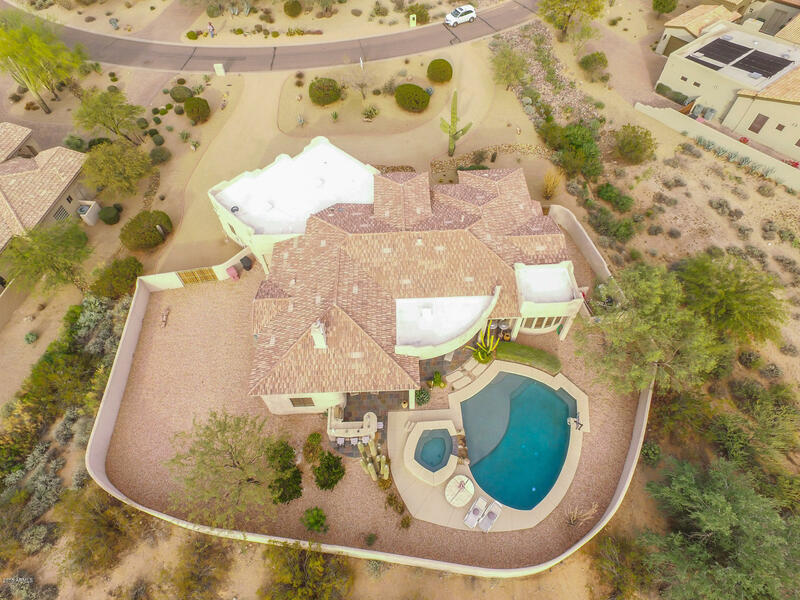 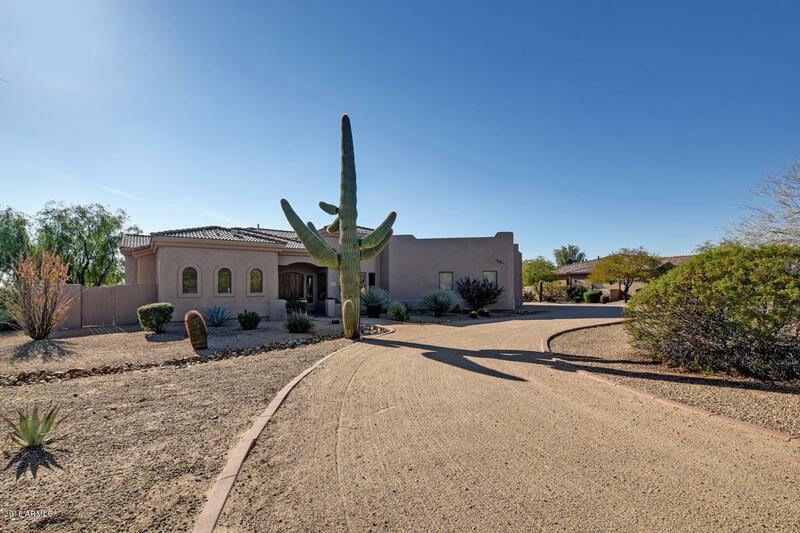 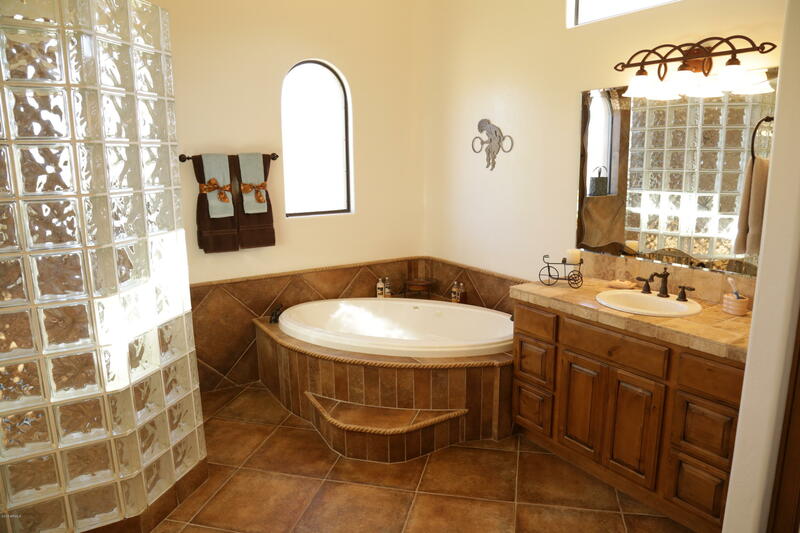 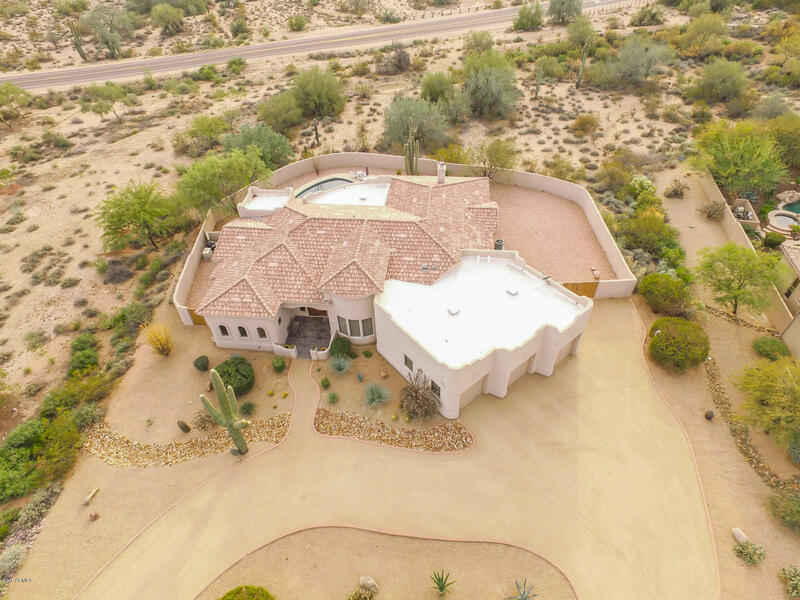 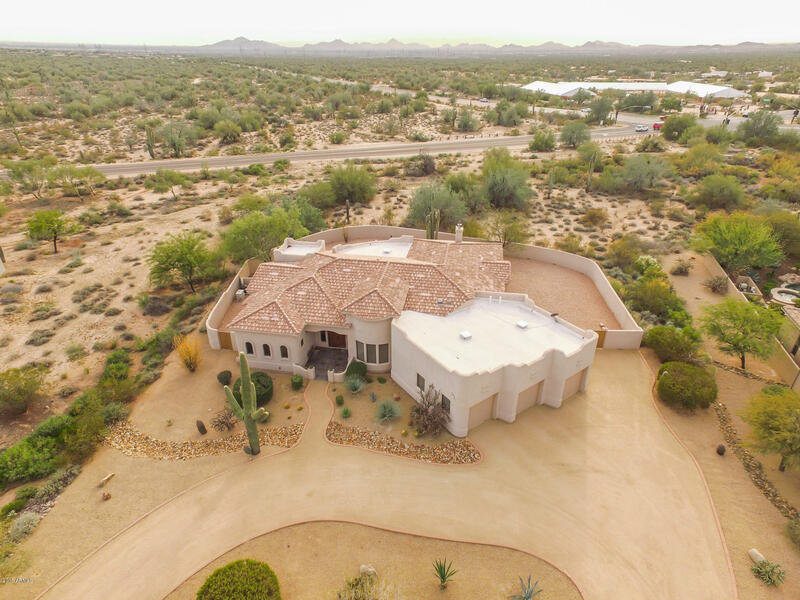 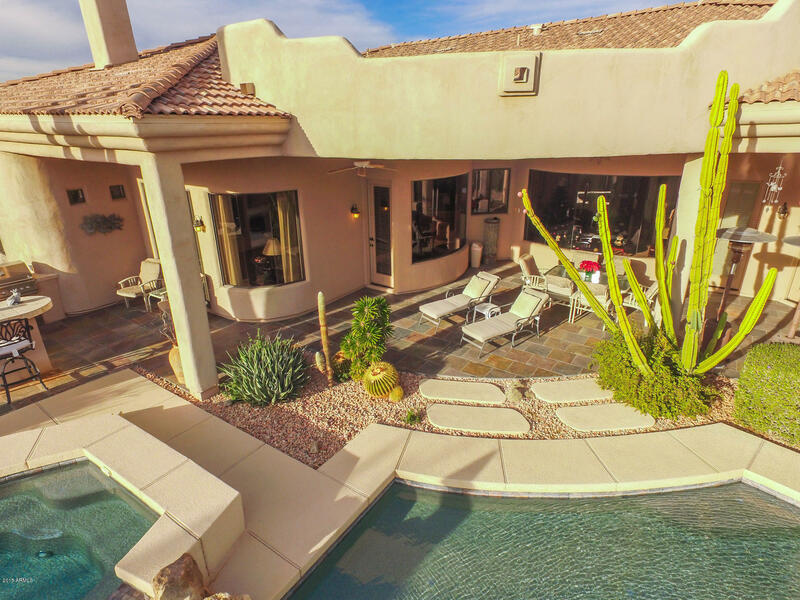 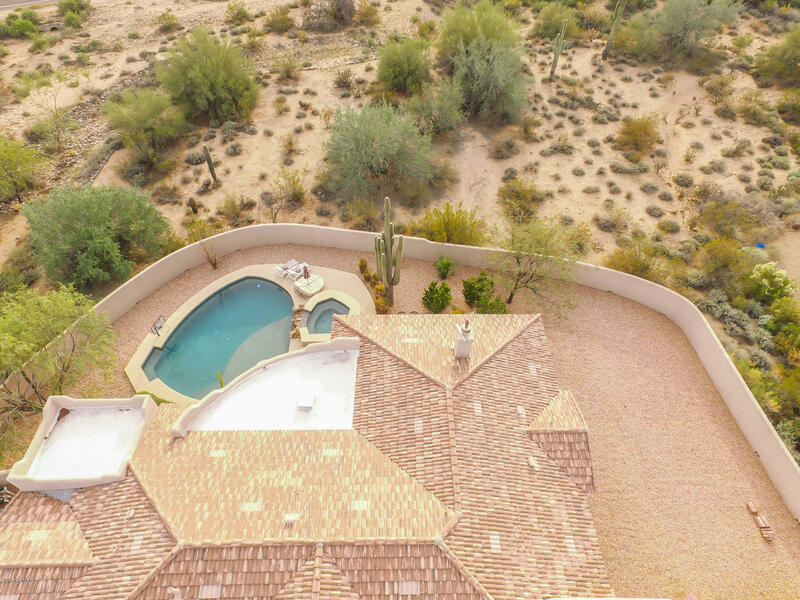 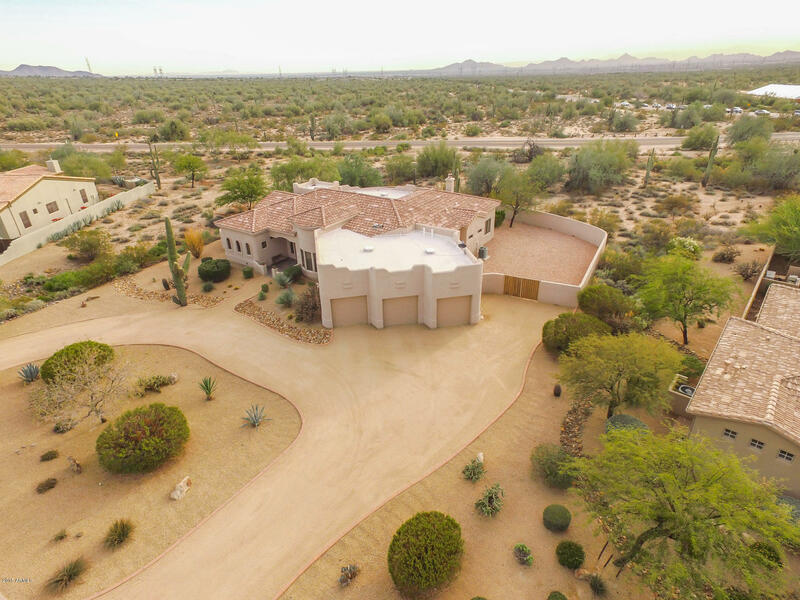 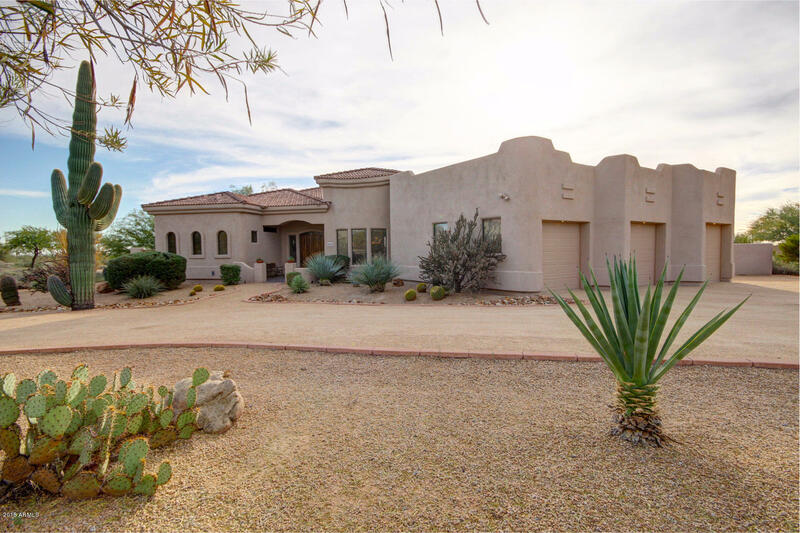 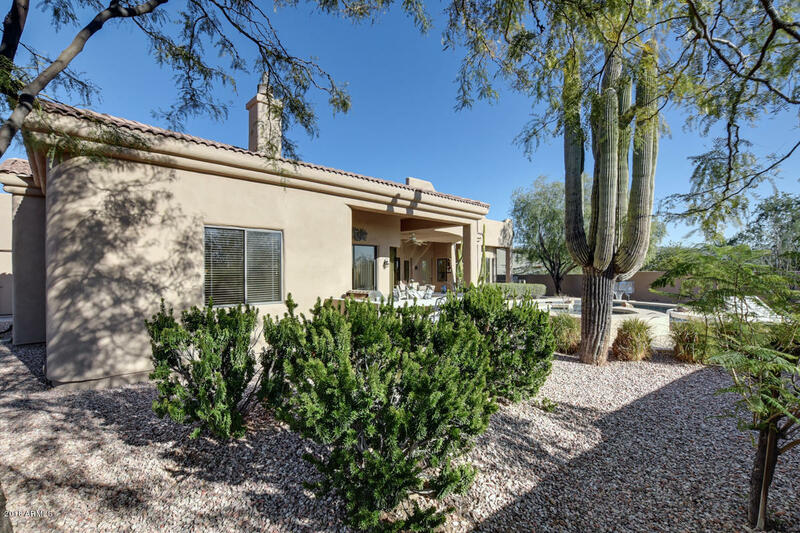 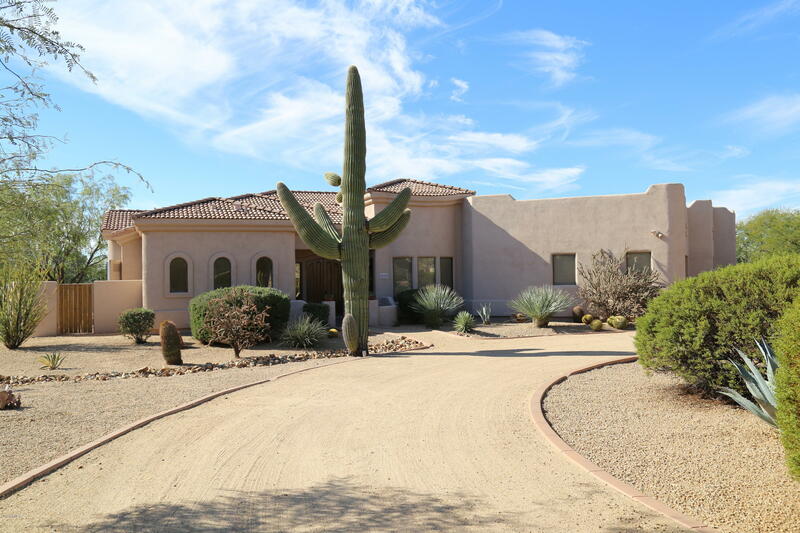 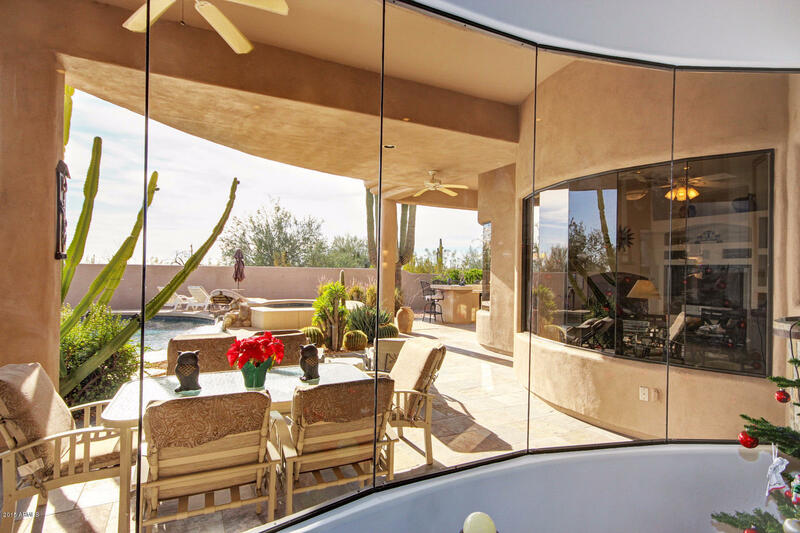 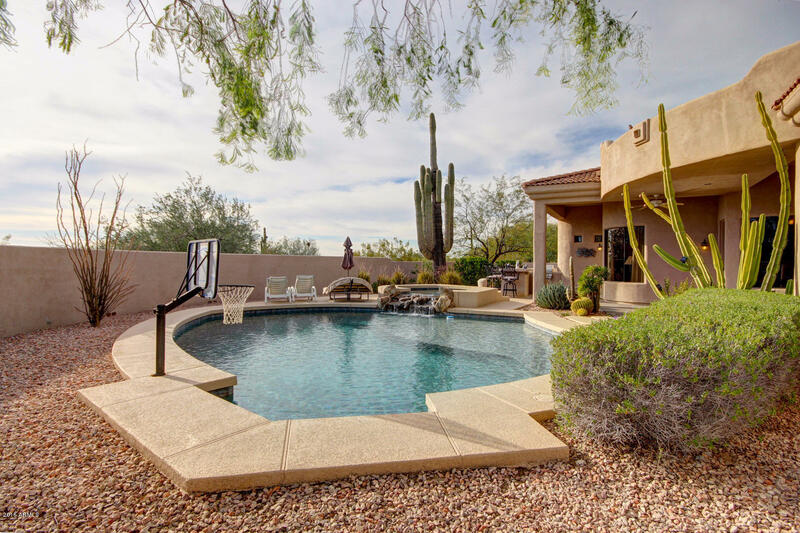 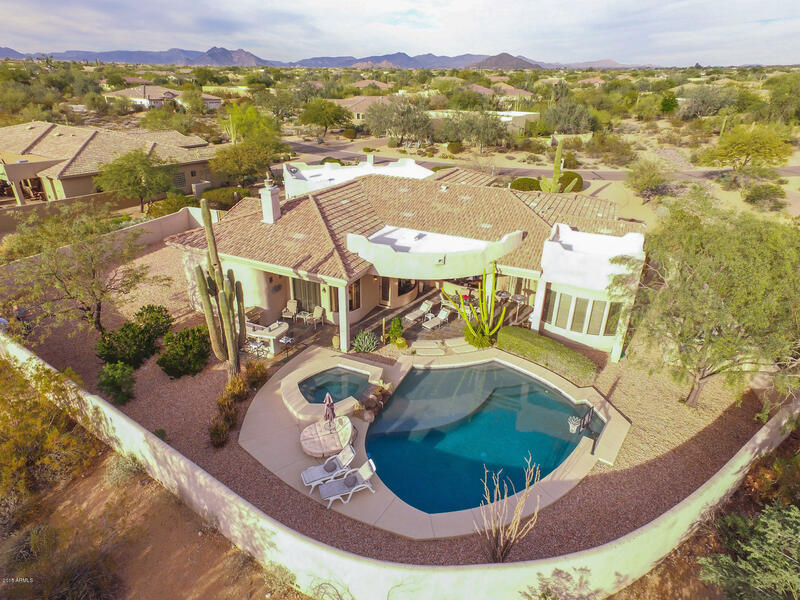 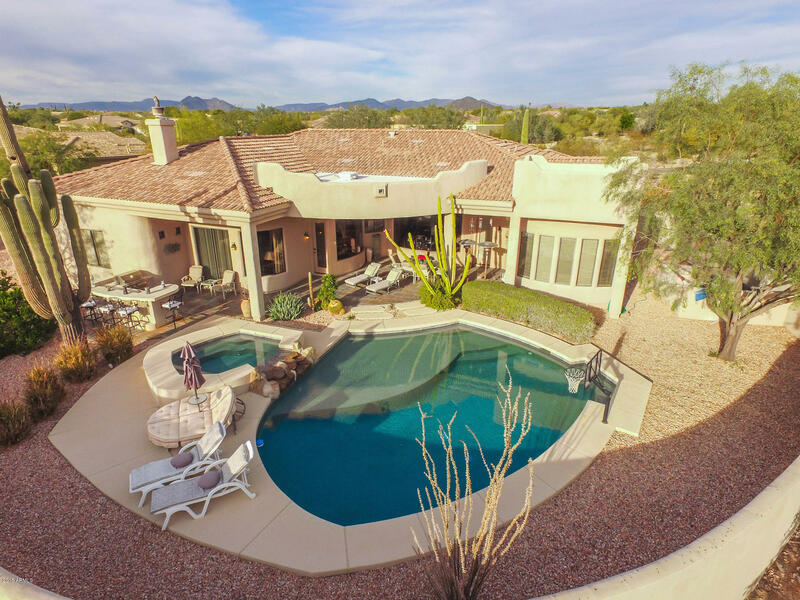 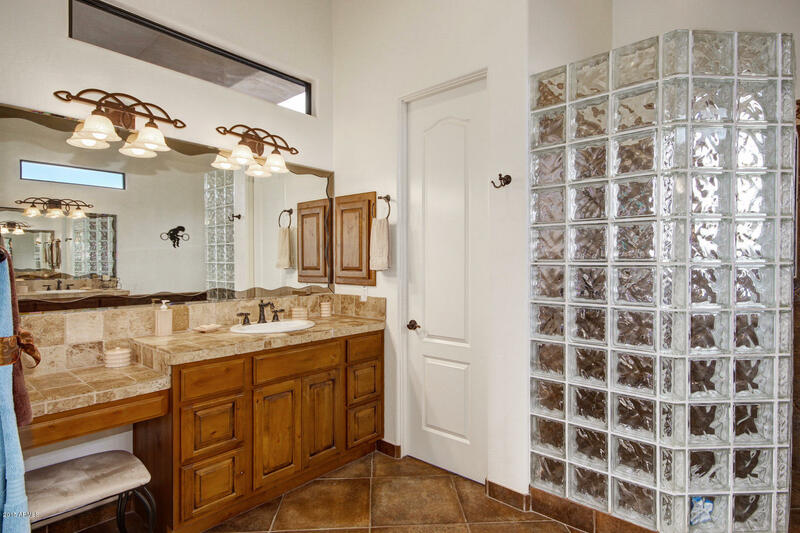 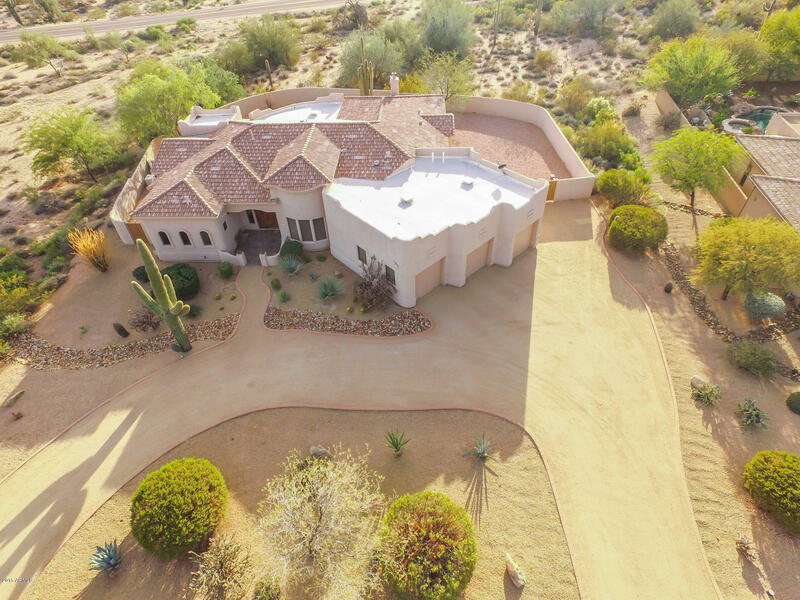 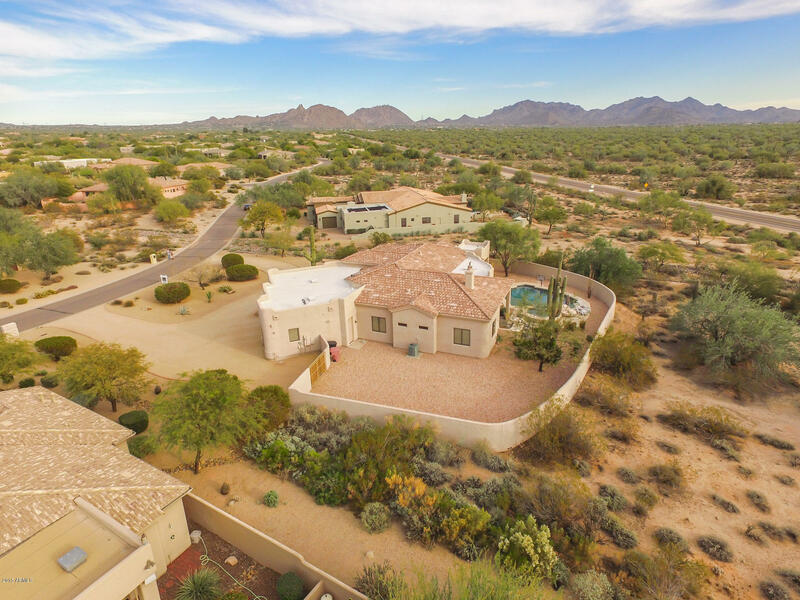 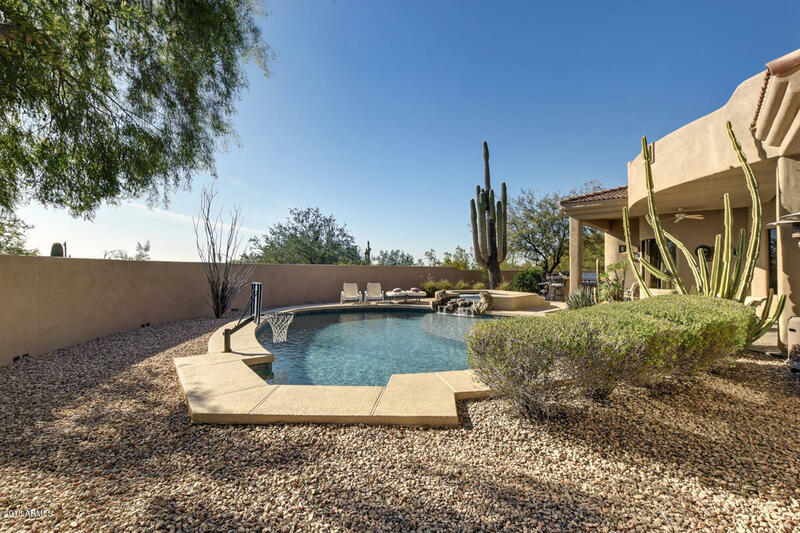 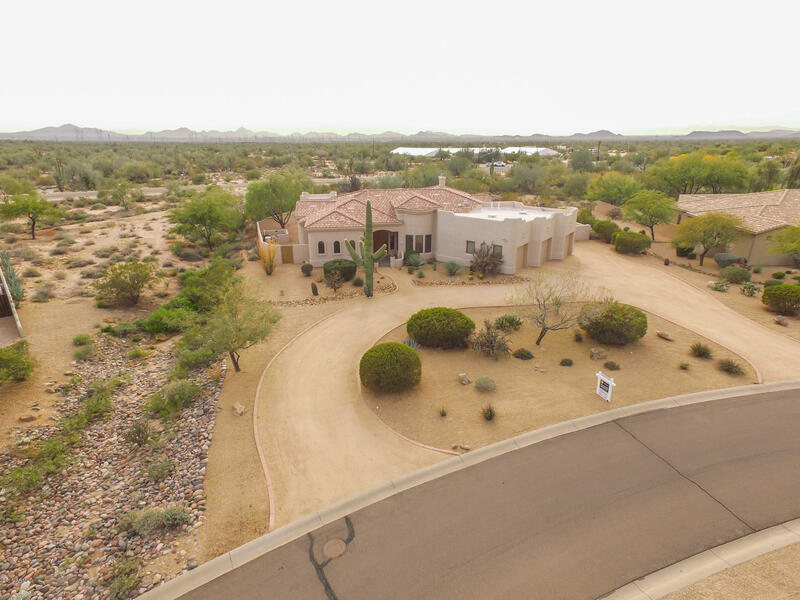 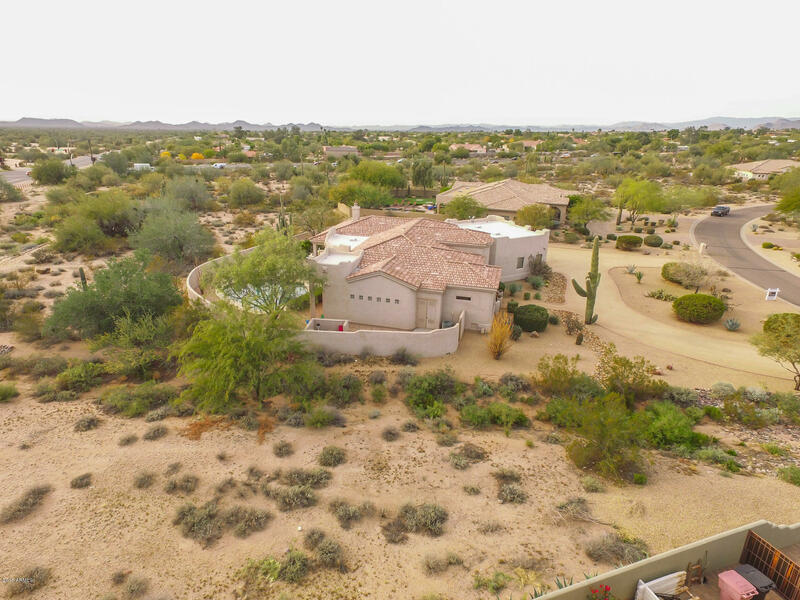 This beautiful, individually Custom designed all ensuite North Scottsdale home sits on 1.5 Acres and offers gorgeous Desert & Mountain Views! 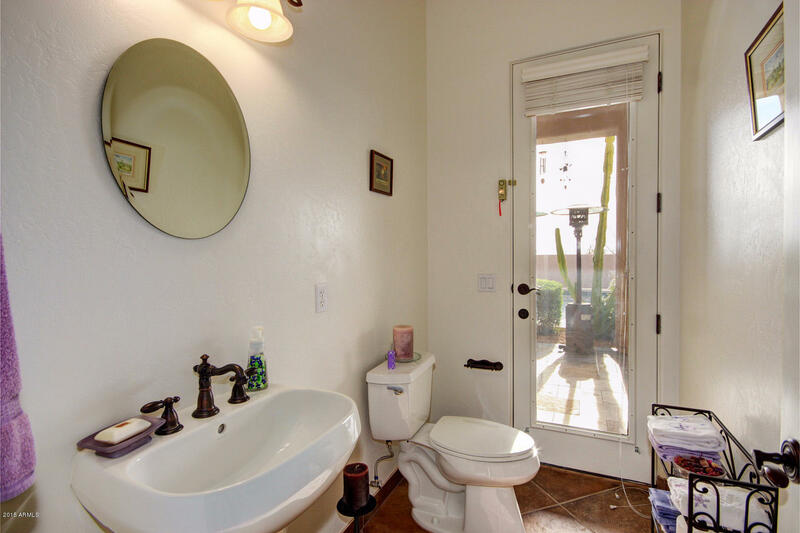 Truly an Entertainer's Delight! 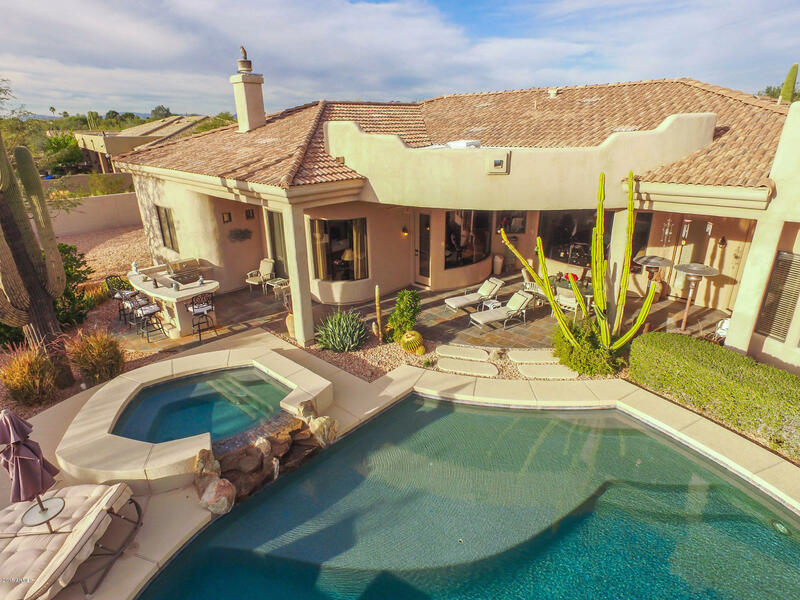 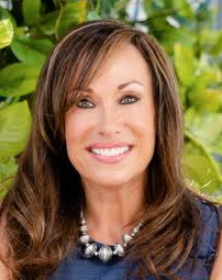 The private resort-style back yard boasts a sparkling heated play pool and spa with waterfall and a built-in BBQ with bar and outside refrigerator. 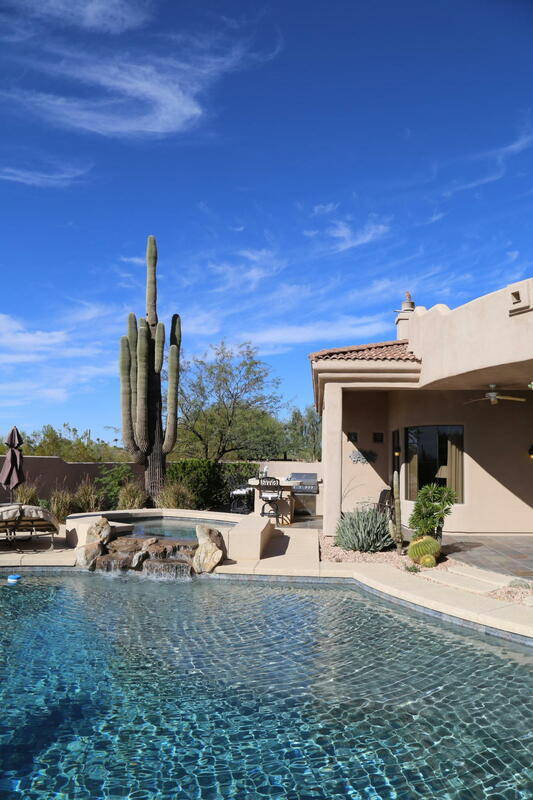 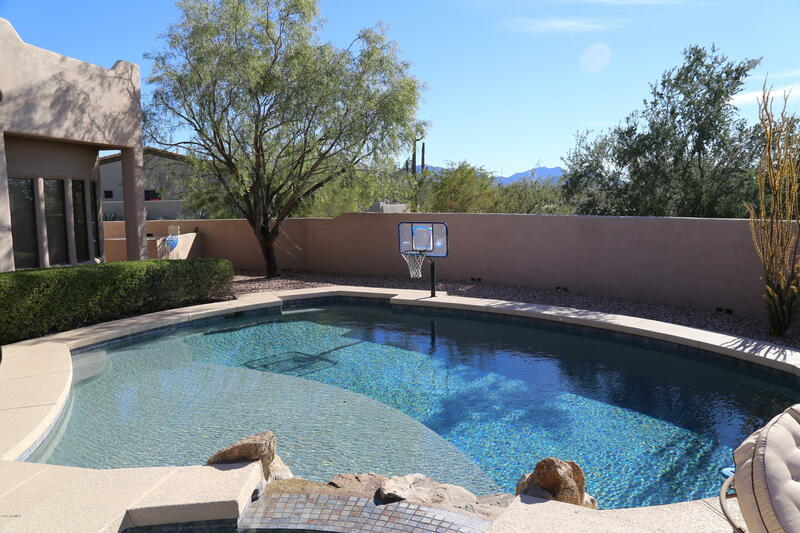 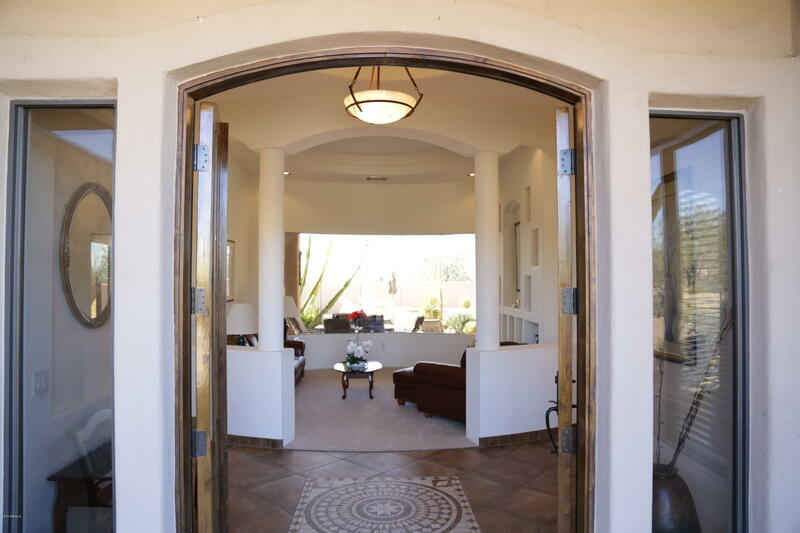 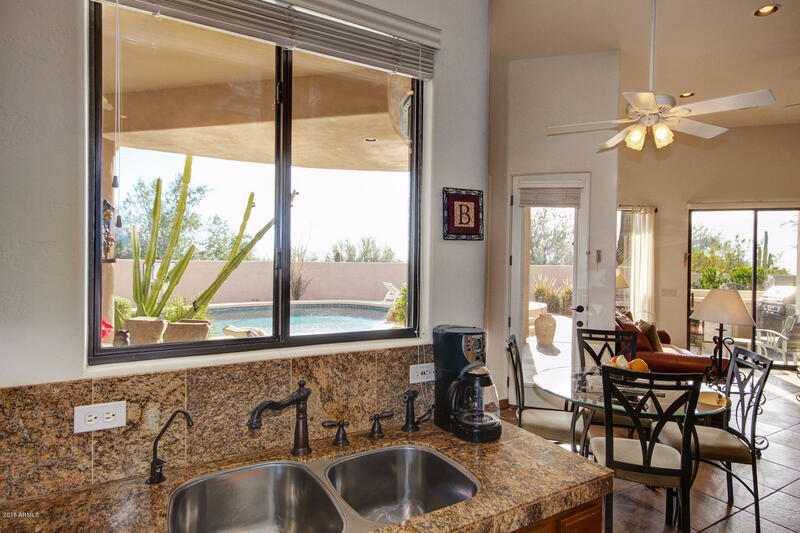 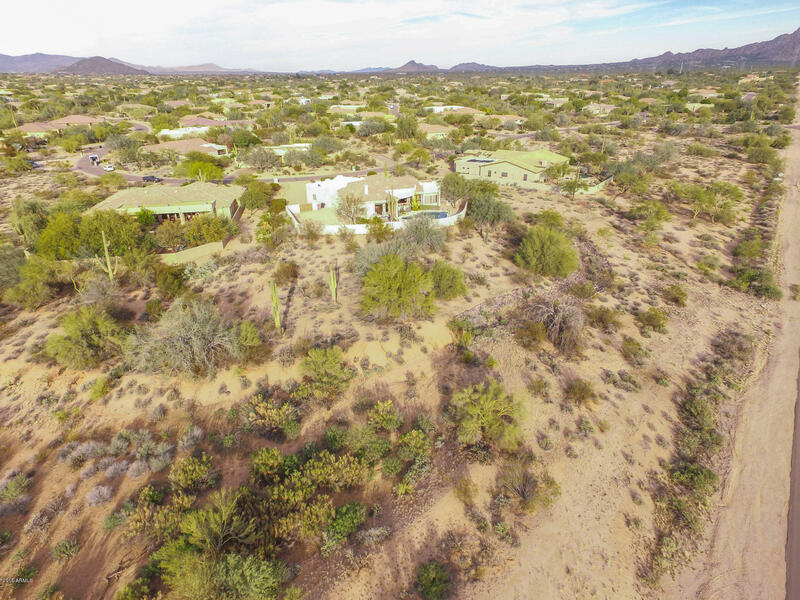 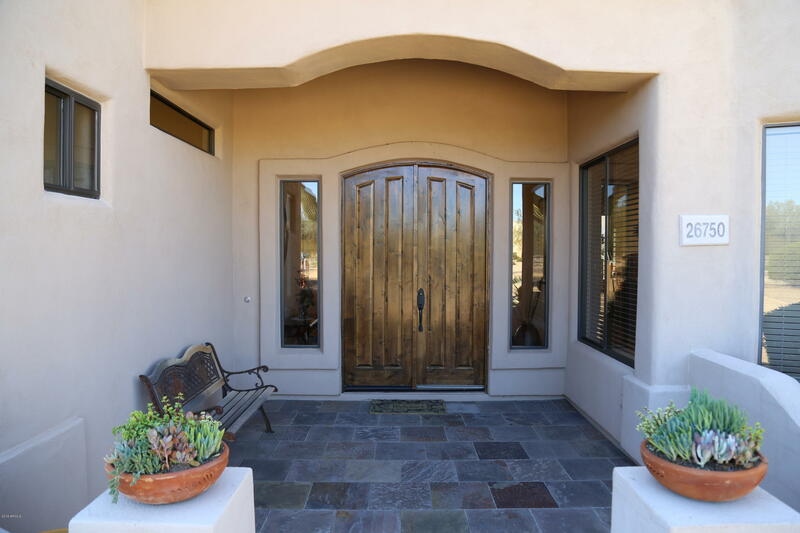 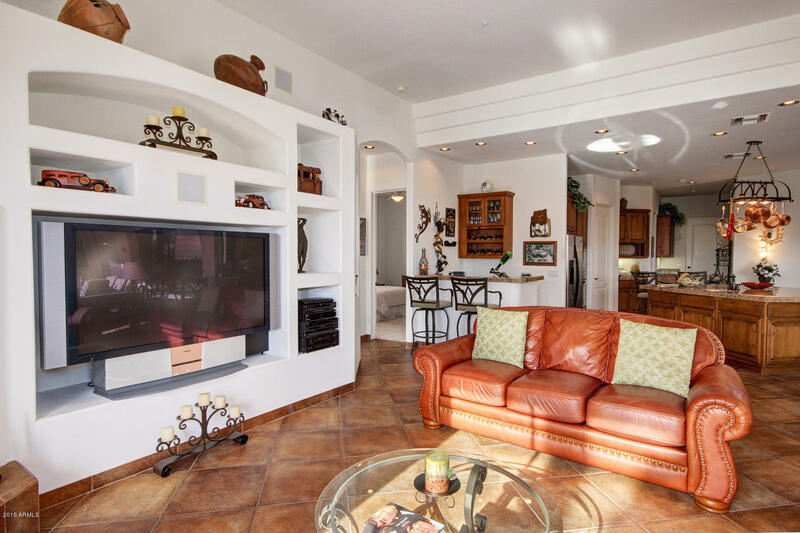 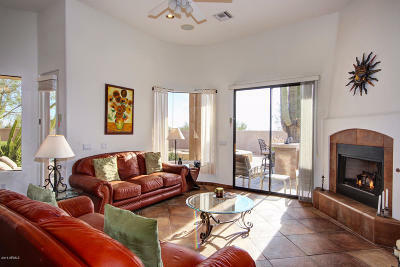 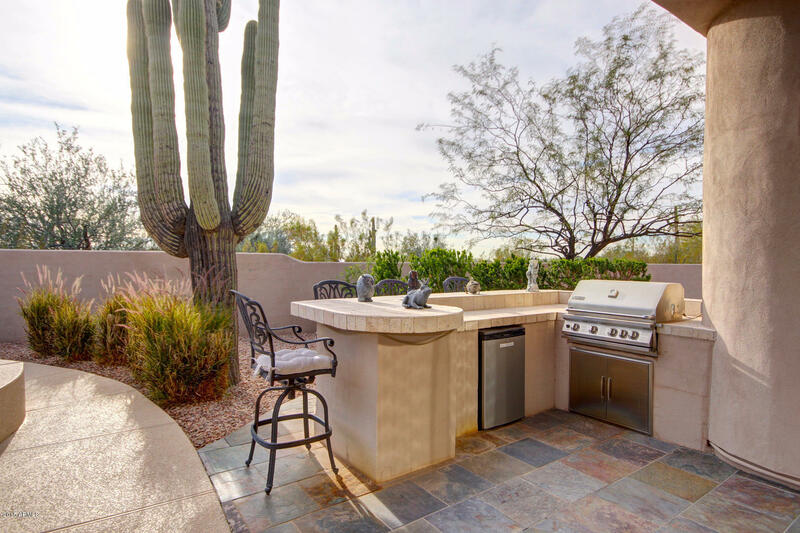 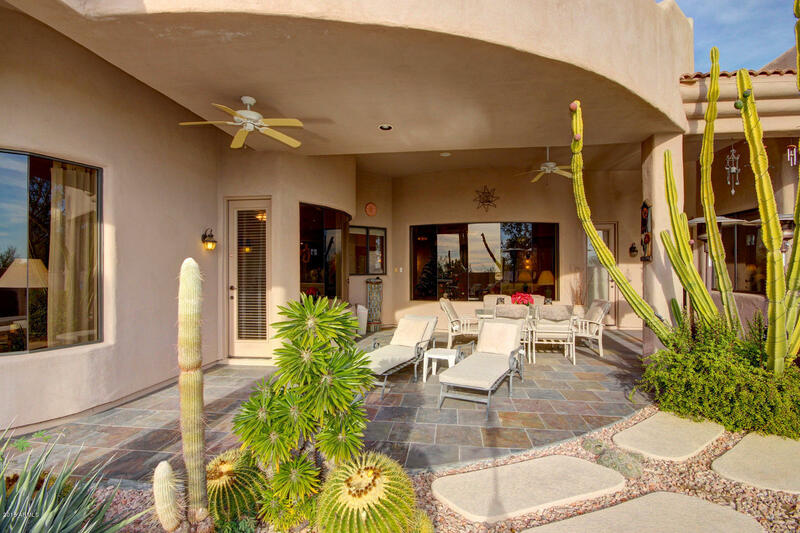 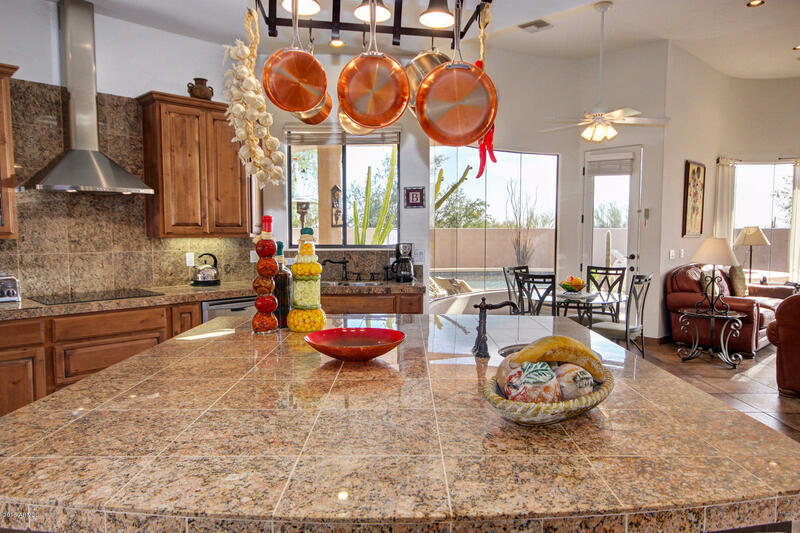 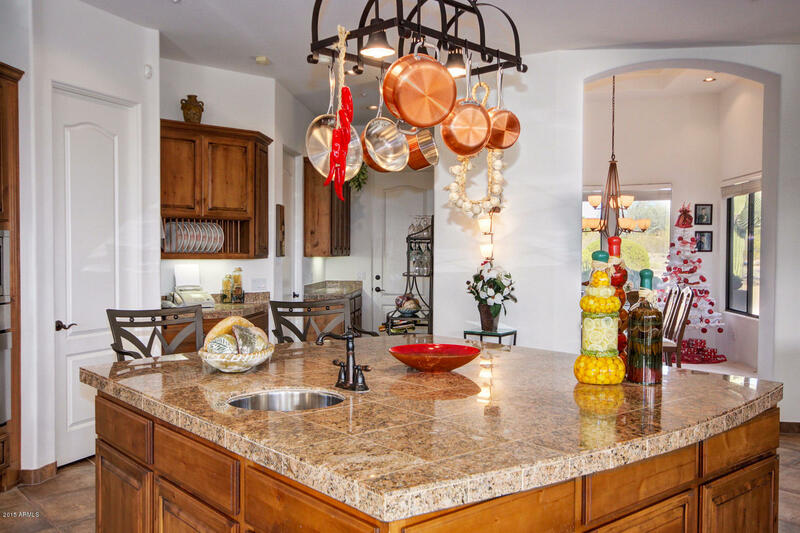 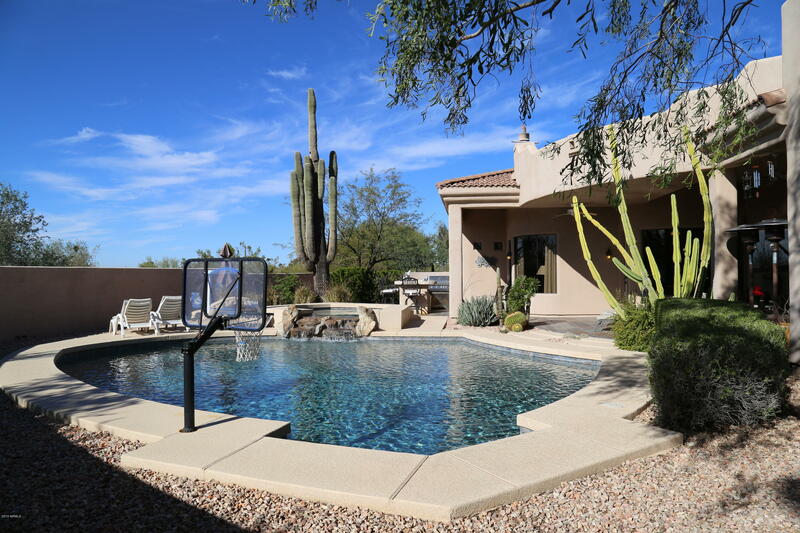 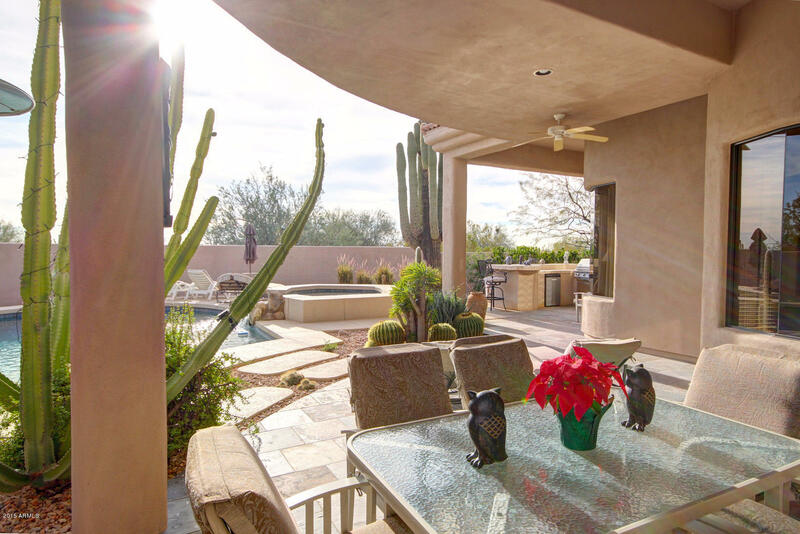 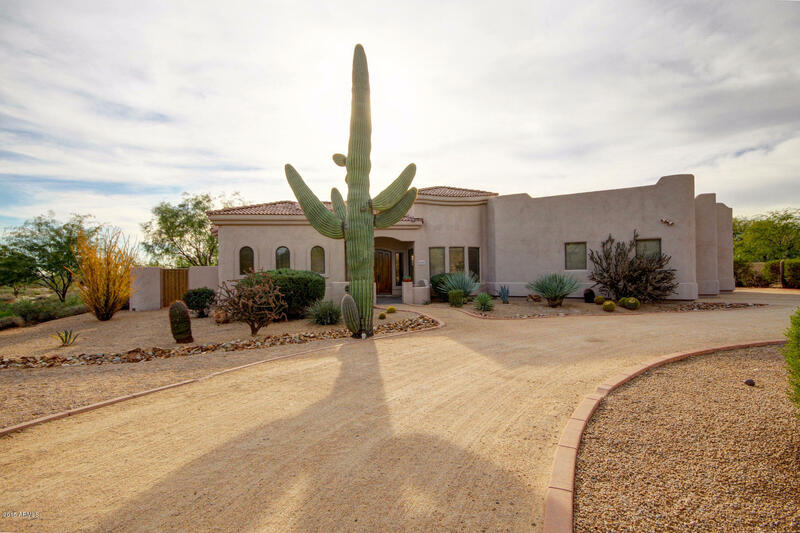 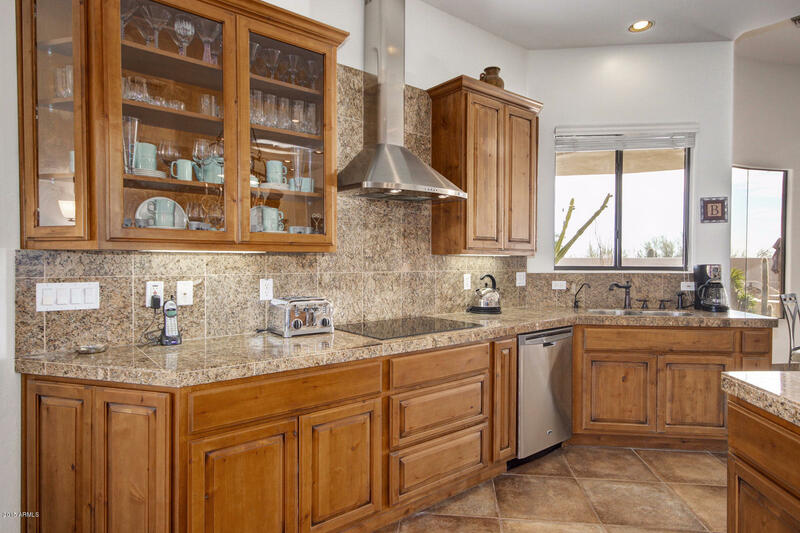 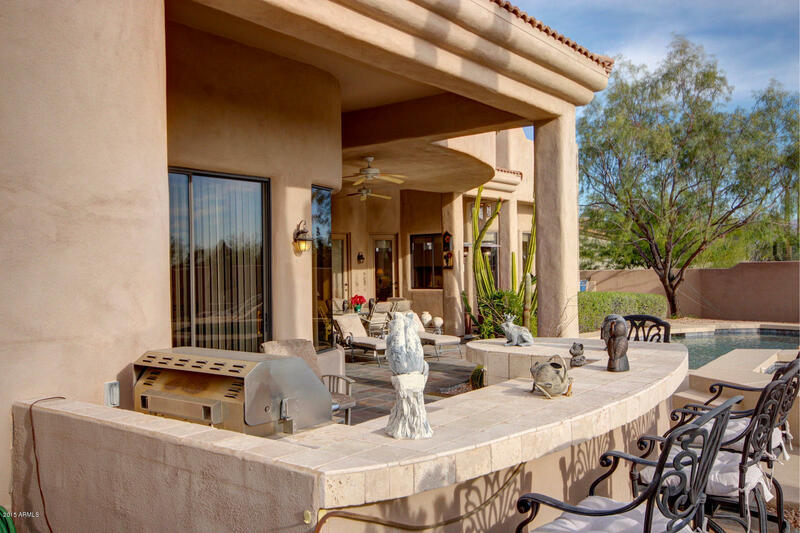 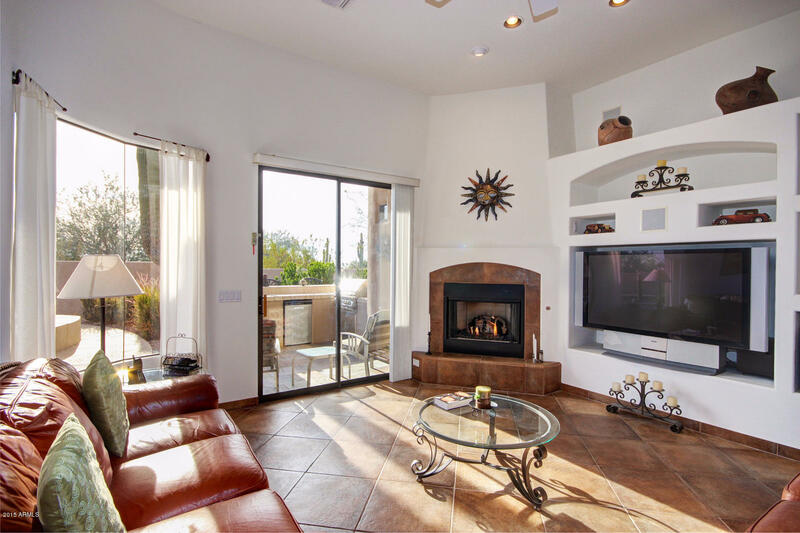 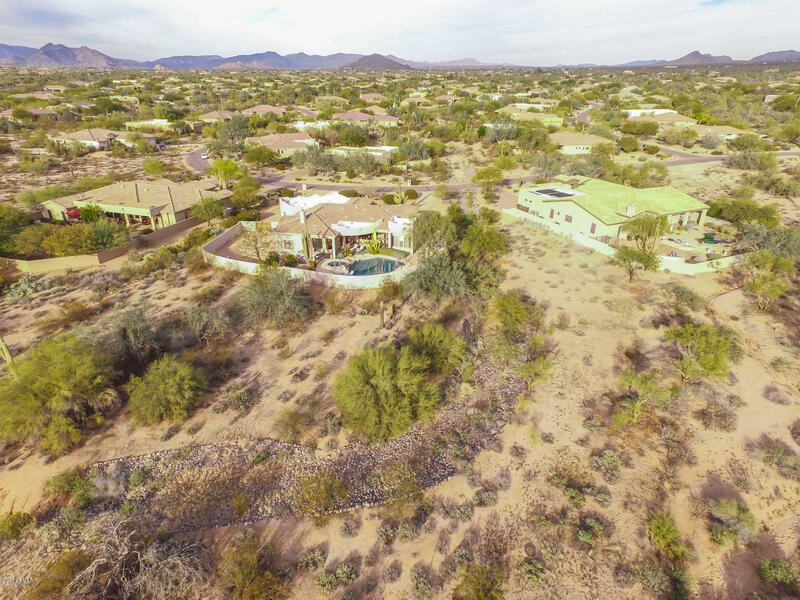 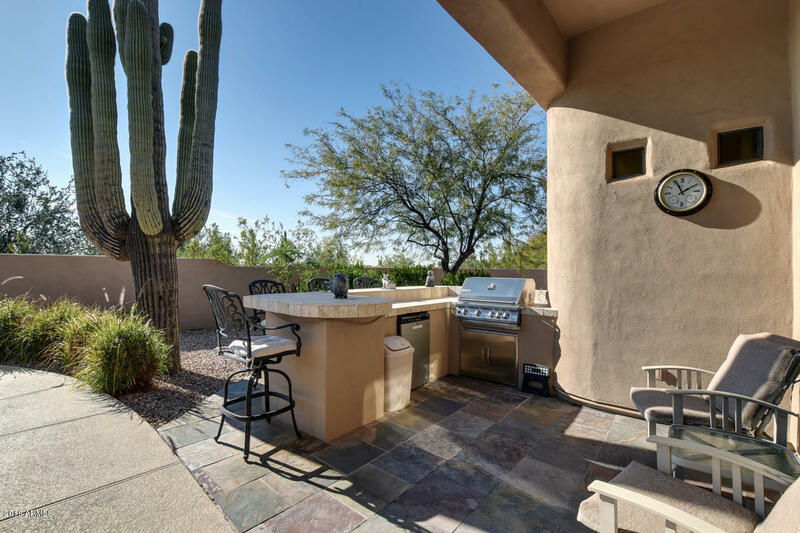 Unobstructed views of amazing Arizona sunsets, just lots of Natural Open Space. 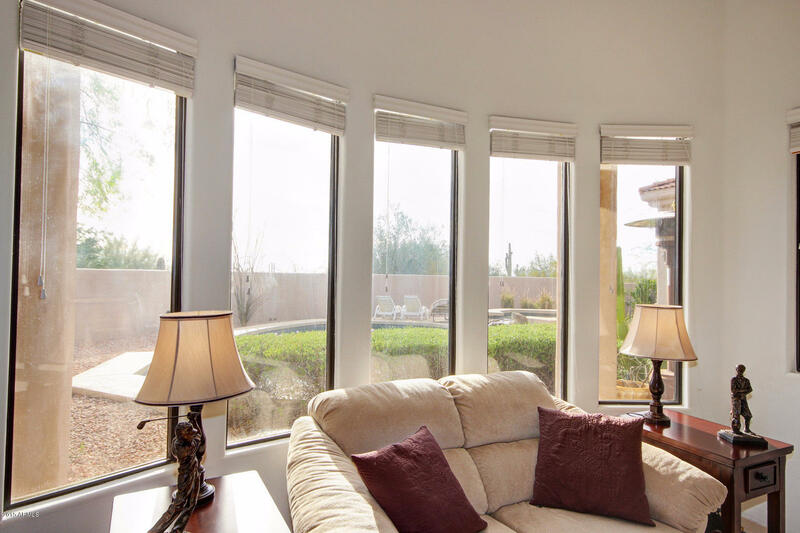 This home was built and positioned to enjoy comfortable Summer & Winter afternoons while keeping heating and cooling expenditure to a minimum. 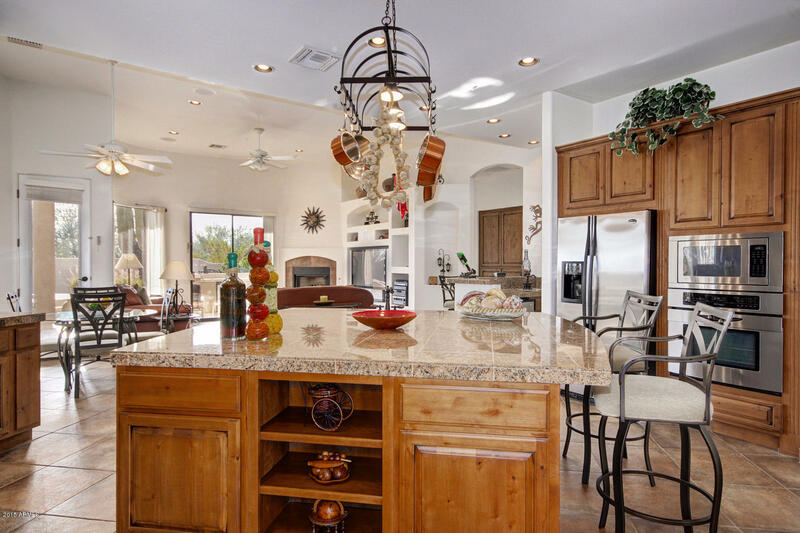 The Great Room floor plan features a large Kitchen with an oversized island with prep sink open to the living area, wet bar, fireplace, and lovely backyard and outdoor views. 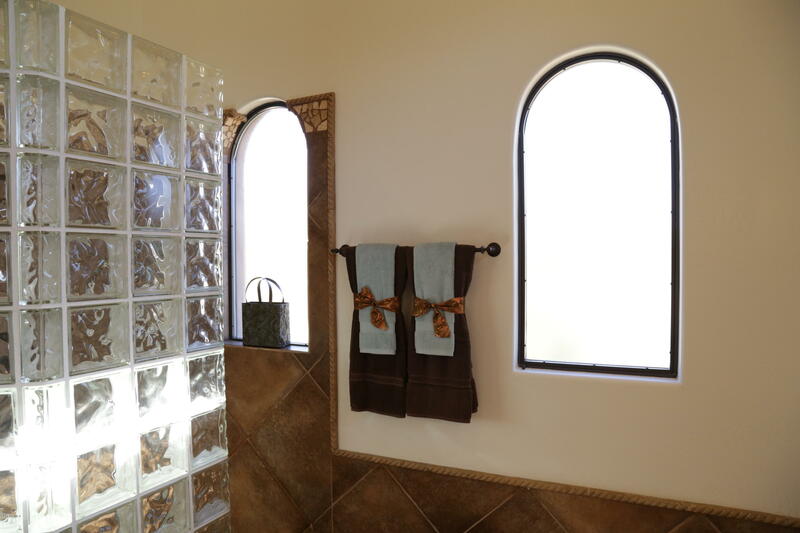 Lots of windows bring in lots of lights! 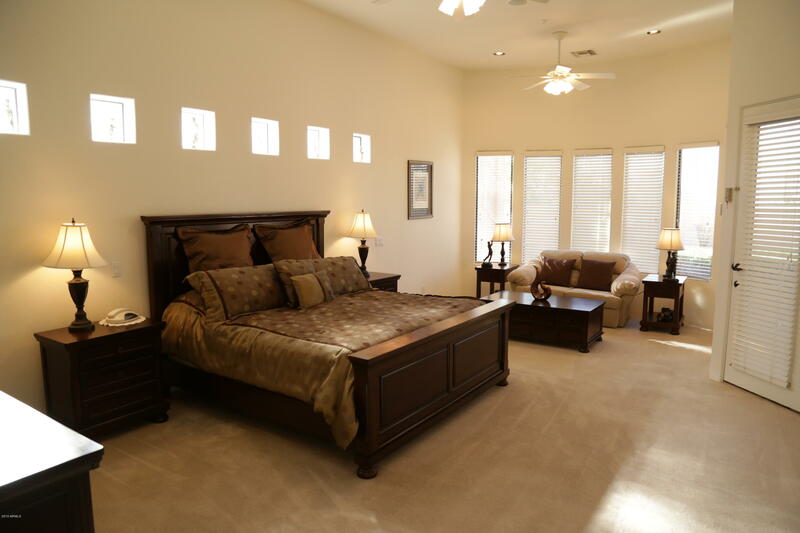 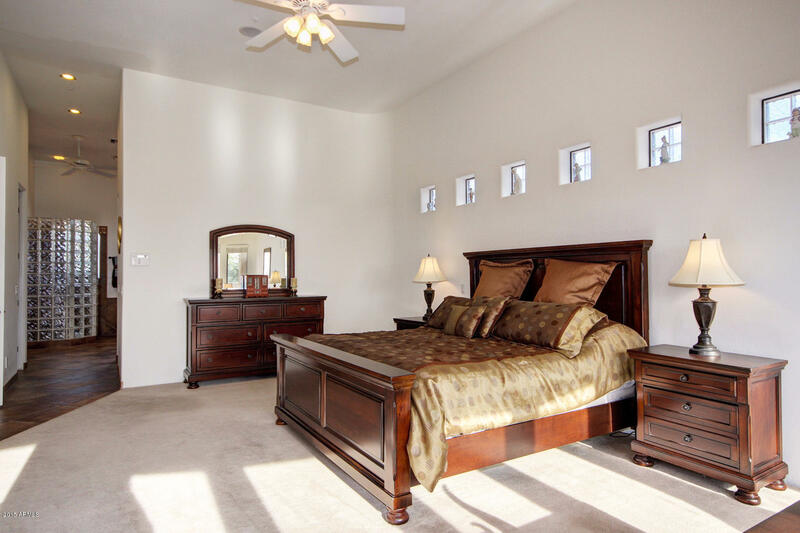 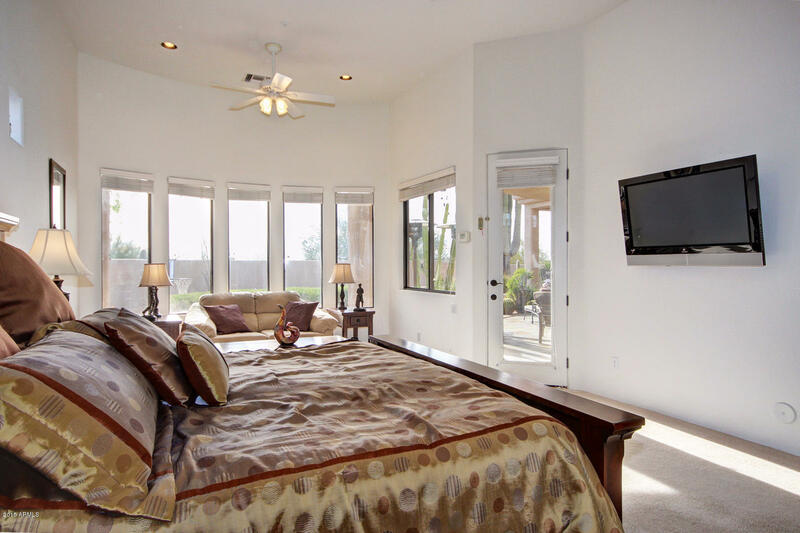 Huge Master Bedroom offers a sitting area and separate exit to pool/spa. 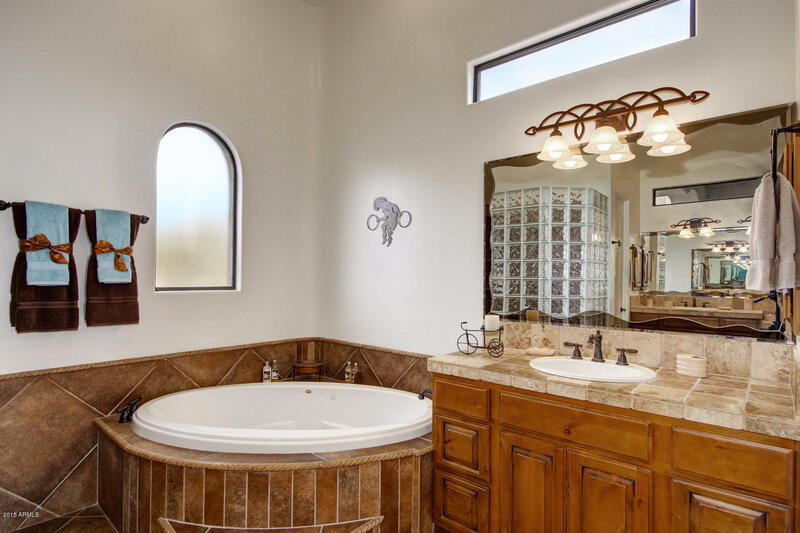 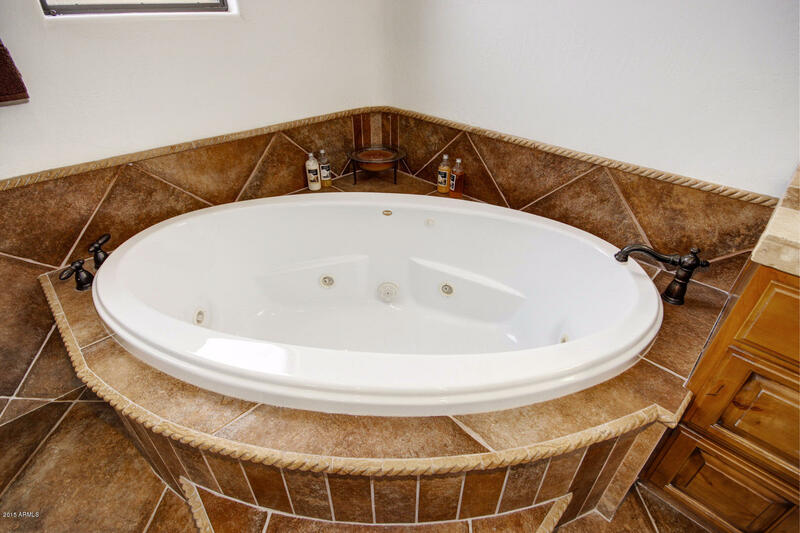 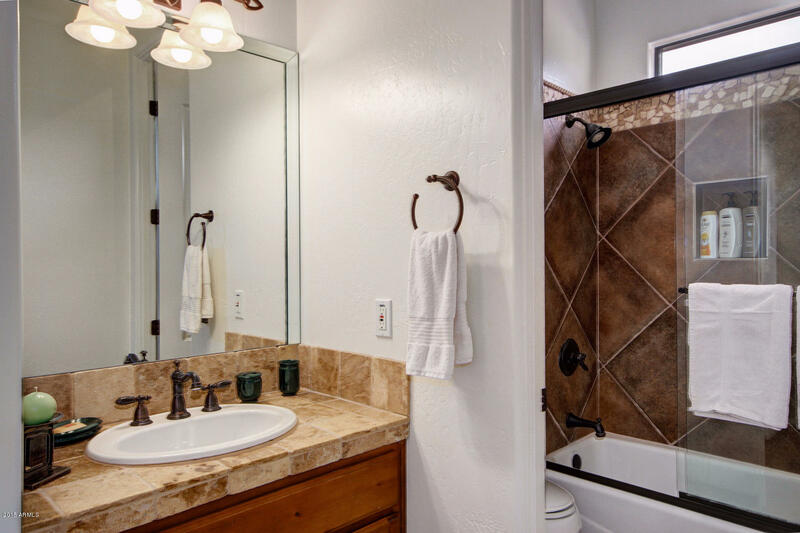 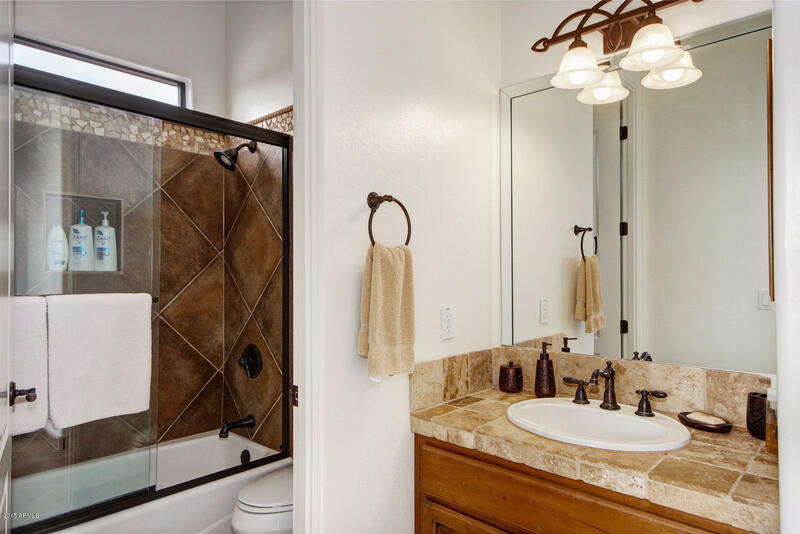 Master Bath touts His/Hers vanities, jetted tub, and a lovely large walk-in tiled snail shower. 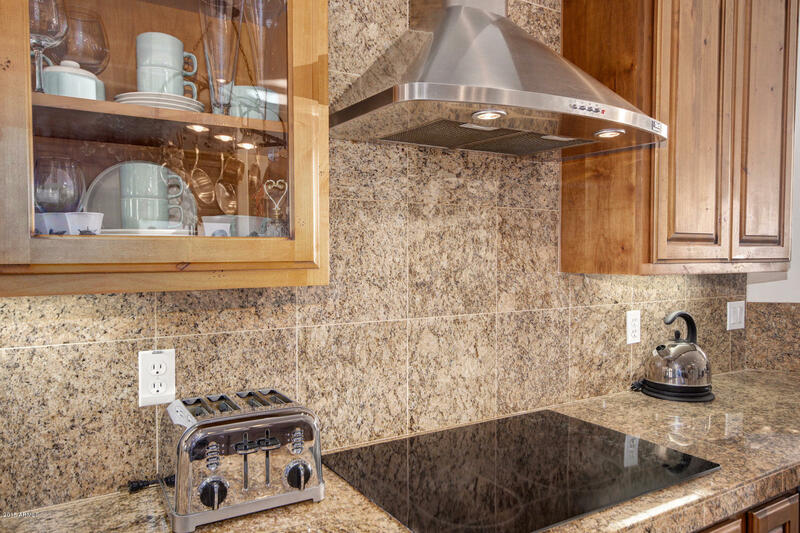 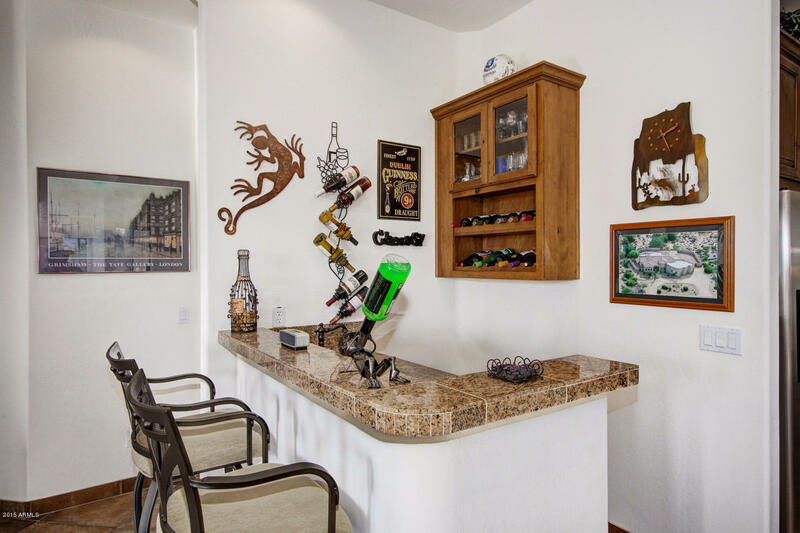 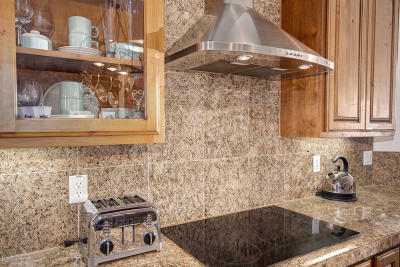 Upgrades galore include granite counters, upgraded cabinets, tray ceilings, security system, central-vac, in-floor cleaning system, butted windows, surround sound, reverse osmosis, H20 Softener and more! 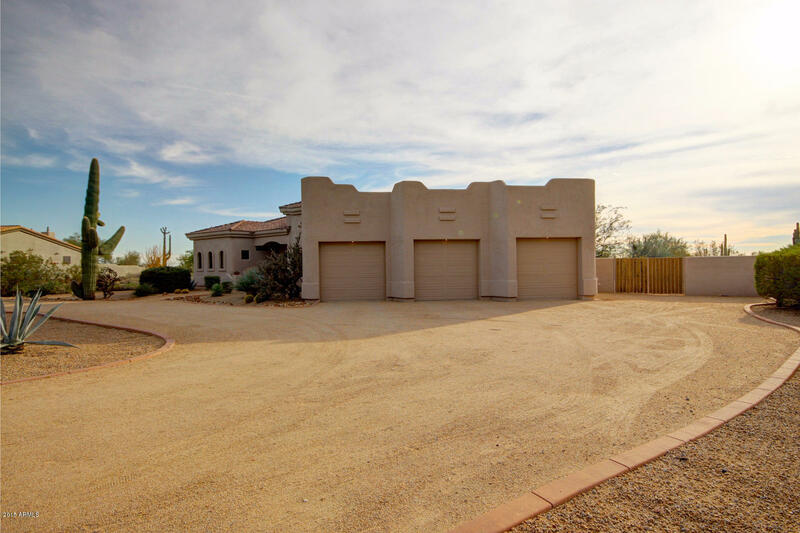 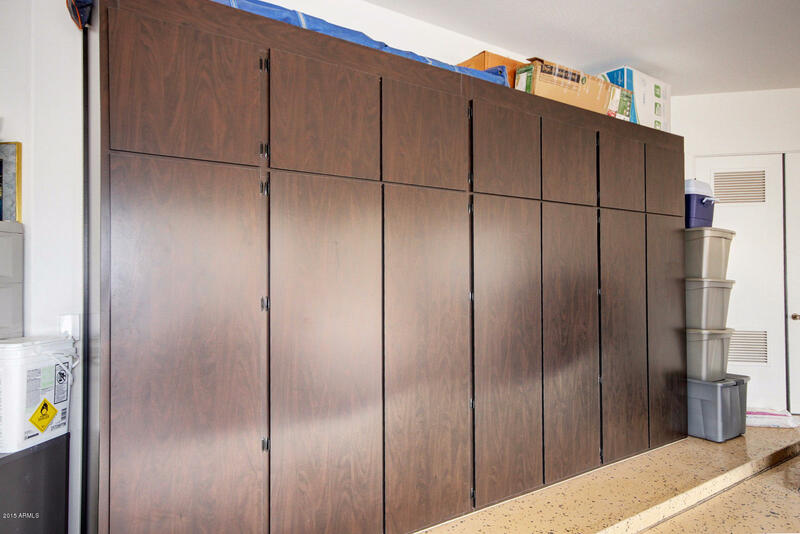 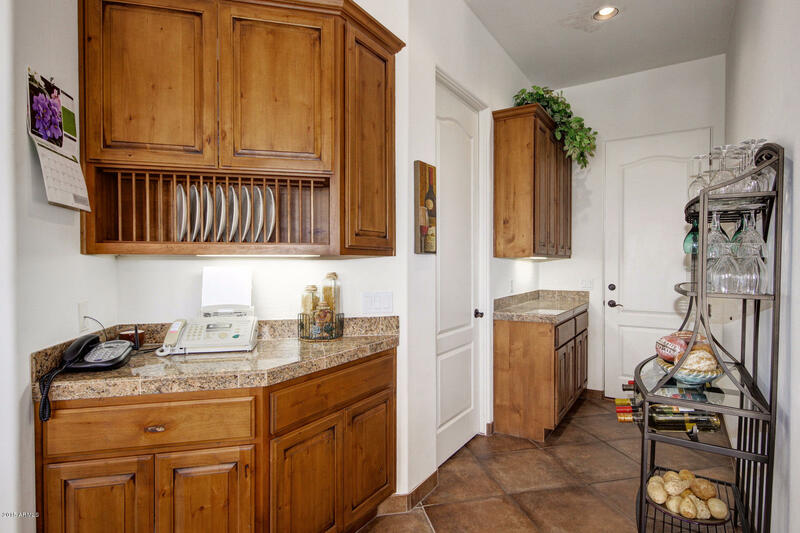 The oversized Garage offers 3 openers, an extension, epoxy floor and lots of custom cabinets. 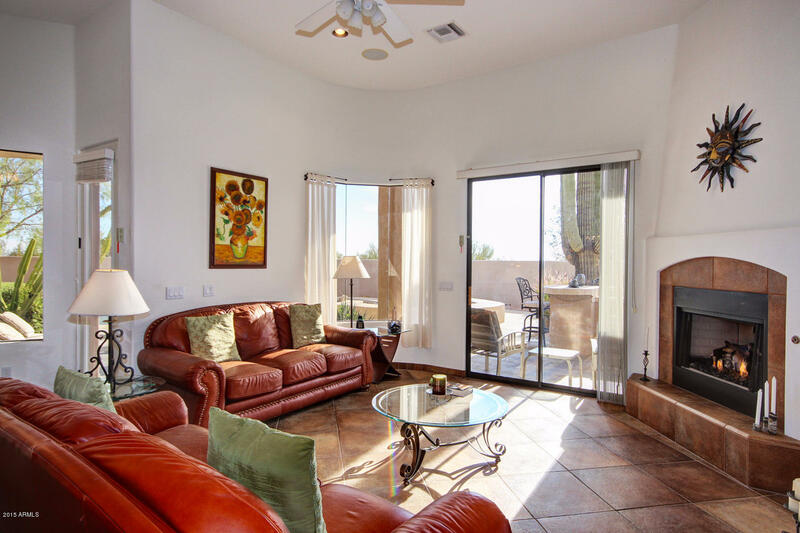 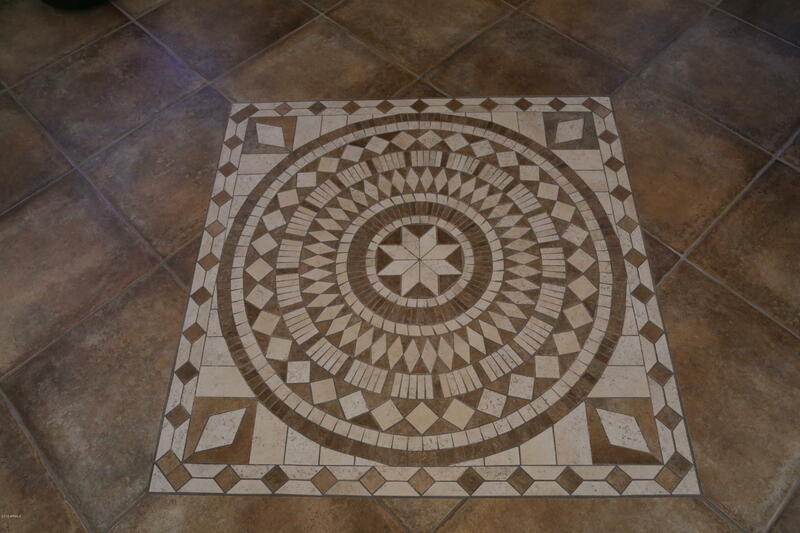 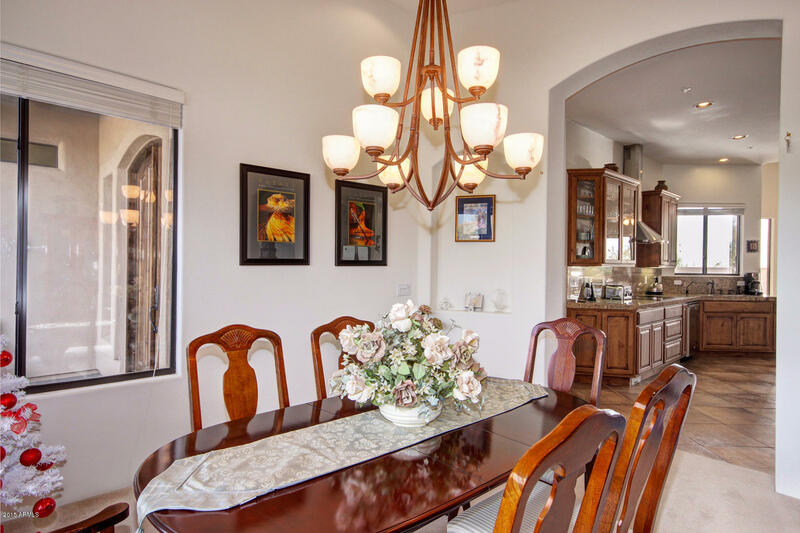 Convenient location close to 101, shopping and dining - MUST SEE!